If you fail to get on the same wave length and tune into the Blueeyedboy at an early stage you are not alone. After a few chapters I had to go back and assess what I thought was going on. 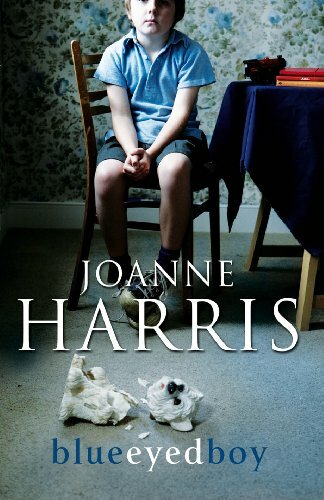 Reading some other reviews set me straight and while I was looking at Joanne Harris’s Malbry as a Yorkshire context I should have realised the internet is omni-locational. As in Gentlemen & Players by Joanne Harris we are back in the fictional Yorkshire town of Malbry. This time we are in the company of a lonely young man whose internet behaviour seems to verge on the sociopathic. After my false start I got through the book, which was thoughtful and creative until the end. It just about repaid the effort to understand unlovable characters and an untrustworthy narrator which keeps the reader a bit on an edge. There were some good intelligent references to ‘the world at large’ despite most of the action takes place on a keyboard in a bedroom. In someways the thoughts were so obviously the authors, not the narrators, that it added to my dissonance. Fans of Joanne will already have lapped up this book and moved on to her latest offerings Runelight and Peaches for Monsieur le Curé (Chocolat 3). For me I resort to this photo of a blue-eyed-oldboy.